Marijuana (cannabis) addiction is a pattern of marijuana use characterized by many of the typical signs and symptoms of drug addiction. The technical name for marijuana is "Cannabis Use Disorder," and it is included in the Diagnostic and Statistical Manual of Mental Disorders, Fifth Edition (DSM-5). You might hear it called cannabis or maijunana dependence, cannabis or marijuana abuse, or cannabis or marijuana misuse. These terms are now considered disrespectful to people who use substances, so have fallen out of favor, even in the medical profession, although of course, it is taking time for some people to catch up, especially those who have been working in the field for a long time and using this language. If you use marijuana, you may be wondering if you've become addicted to it. If so, here's something that may come as a surprise: You've reached an important milestone on the road to changing your habits related to the drug. Why is that? Because, as with other types of addiction, denial is common among people who use marijuana. Sometimes it is lack of awareness, and sometimes it is refusal to accept reality, but people who use marijuana hardly ever admit to being addicted to it. In fact, many marijuana users strongly deny that it's even possible to be addicted to marijuana. So if you are questioning whether it is possible to be addicted to marijuana, you are ahead of those who don't even consider the possiblity. First, take a good, clear look at the way you're living. How closely does your life fit with the addiction symptoms listed above? Remember, you're already past the denial stage, where many marijuana users "get stuck" and are unable to take back control of their lives. And you've read this article to this point, which suggests you're serious about getting help to curb or stop your marijuana use. Although these effects can be temporary, marijuana use has been linked to a very serious type of mental health problem called psychosis. Psychosis is treatable, but it is important to get treatment as soon as possible. Younger people in their teens and early twenties are particularly vulnerable to developing psychosis after using drugs, including marijuana. If you don't want your parents to know, go to the doctor on your own or with a friend, or find a youth clinic to help you. Despite what you may have heard, marijuana is not a harmless drug. In addition to keeping you from fully experiencing your life, it can be a trigger for mental illness. Getting help for marijuana addiction right away increases the likelihood that treatment will be effective and permanent. American Psychiatric Association. Diagnostic and Statistical Manual of Mental Disorders, Fifth Edition, Arlington, VA: American Psychiatric Association, 2013. Beck K, Caldeira K, Vincent K, et al. 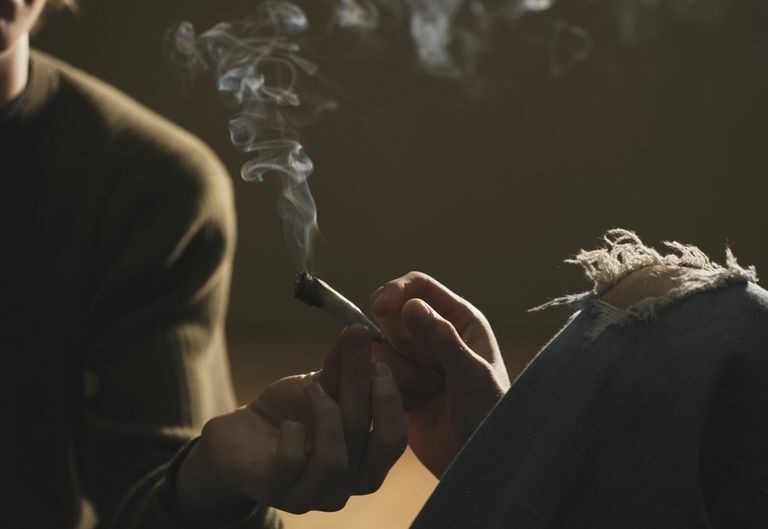 The social context of cannabis use: relationship to cannabis use disorders and depressive symptoms among college students. Addictive Behaviours, 34:764-768, 2009..
Dragt S, Nieman D, Becker H, et al. "Age of onset of cannabis use is associated with age of onset of high-risk symptoms for psychosis." Can J Psychiatry. 55:65-171. 2010. Fiesta, F, Radovanovic M, Martins S, et al. "Cross-national differences in clinically significant cannabis problems: epidemiologic evidence from 'cannabis-only' smokers in the United States, Mexico, and Colombia." BMC Public Health. 10:152. 2010. Fischer B, Rehm J, Irving H, et al. "Typologies of cannabis users and associated characteristics relevant for public health: a latent class analysis of data from a nationally representative Canadian adult survey." Int J Methods Psychiatr Res. 9:110-124. 2010.